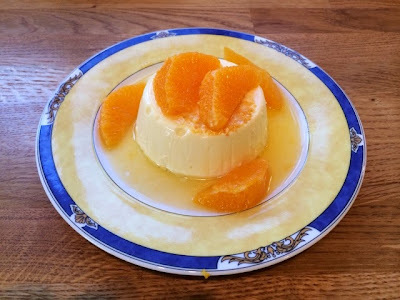 Pannacotta is one of those dishes you always see the contestants on Masterchef attempting to make and then failing miserably because it never sets on time and they end up producing something that’s either half melting or dished up in a bowl. For this reason I’ve never bothered to attempt making it at home. However, The Boyfriend really loves pannacotta so when cooking us a romantic dinner a few weeks ago I decided to be brave and give it a go. I dug around to find some recipes and Mary Berry came up trumps. Mary Berry’s Complete Cookbook is a really great (and pretty huge) book that has over 1000 recipes in and is great for a good classic method for almost every dish you could possibly imagine. It’s an older Mary Berry book which I believe has been republished with a bit of an update off the back of her Bake Off fame, The Boyfriend found it on offer in WHSmith and surprised me with it one weekend. There’s quite a lot of what I would call classic dinner party dishes in the book as well as loads of family favourites, but what is really great about it is that it just covers absolutely everything and makes it really simple and easy to follow. 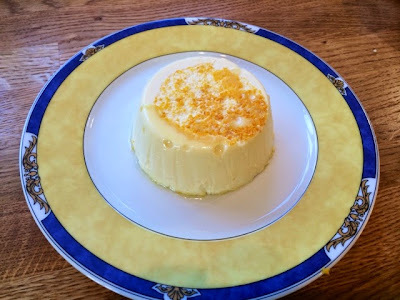 It turned out pannacotta was way simpler than I had imagined (Masterchef here I come!) just so long as you give it your full attention, have plenty of patience and give it plenty of time to set. 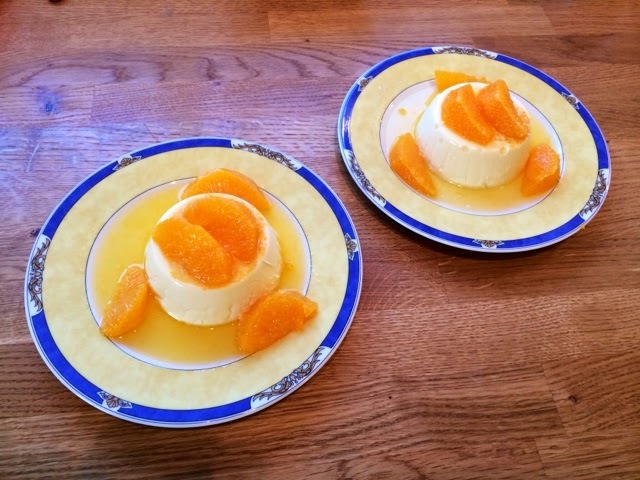 This recipe is more or less as is in the book except I swapped the liqueur for what was knocking around in the back of my booze cabinet and used sheets of gelatine as that’s what I could find in the supermarket. I did have a little difficulty in getting it out of the dish but think if you used a tin it’d be a lot easier. I used ramekins as they were all I had that was the correct size. I managed to ease mine out with a butter knife without too much damage but I didn’t have perfectly smooth sides as I’d have liked. Mind you, there’s nothing preventing you from just serving them up in the dishes if you don’t want to risk messing them up by trying to turn them out. 1. 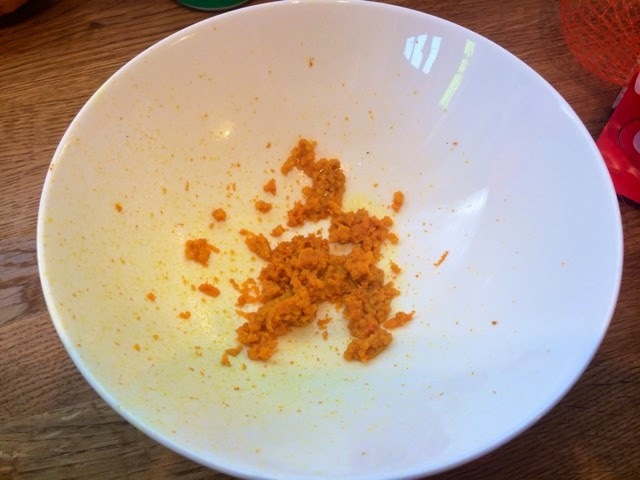 Grate the zest from the two oranges. 2. 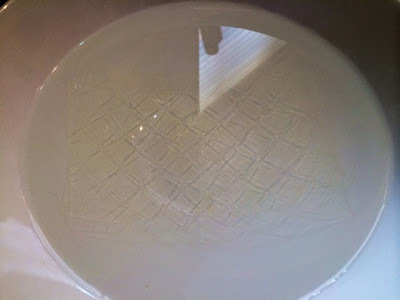 Soak the gelatine in the cold water. 3. 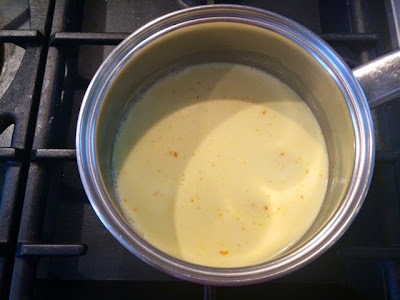 In a saucepan on a low heat gently heat the cream and add the orange zest and half of the grand marnier. 4. 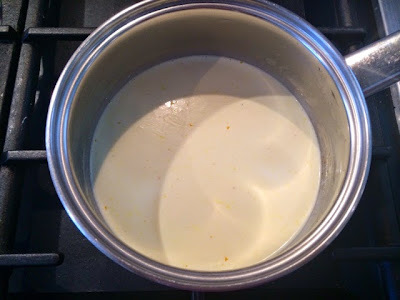 When the mixture has darkened slightly and begun bubbling at the edges turn off the heat. 5. 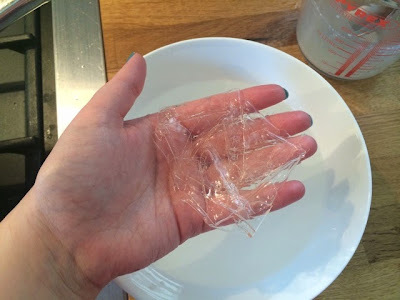 Remove the gelatine from the cold water and squeeze to remove any excess water. 6. 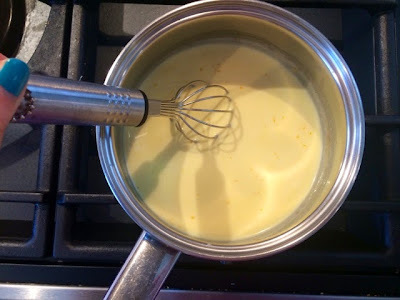 Whisk gelatine into the cream until all dissolved. 7. 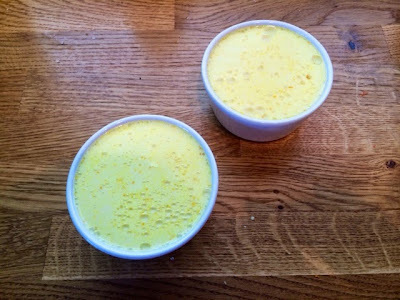 Grease two dishes with the sunflower oil and fill with the cream mixture. Chill in the fridge for a minimum of 3 hours to set. 8. 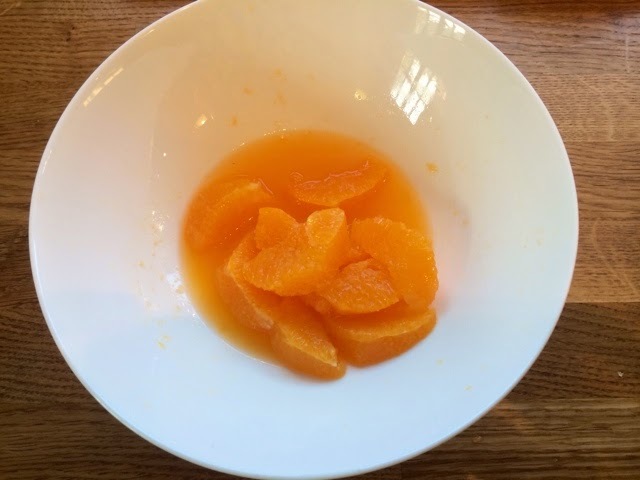 Peel and slice the oranges into segments, squeeze in the juice from the remaining bits and add the rest of the grand marnier. Chill until ready to serve. 9. 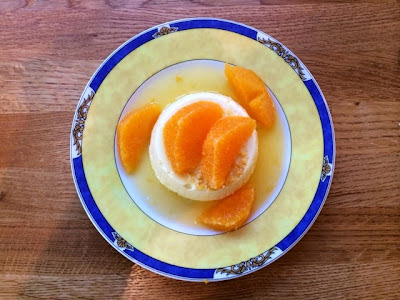 To remove the pannacottas from their dishes, tease the edges away from the dish with a blunt knife, dip the dish into hot water and turn upside down on a plate. It may take a little encouragement but be patient. If it really won’t turn out then just serve it in the dish. 10. Top with a couple of the orange segments, scatter a few around the plate and spoon over the boozy juices. Umm, when do i add the sugar? The ORAC value of acai is higher than pomegranate and blueberry and acai is often seen on super food lists often rated towards the top or as number one.